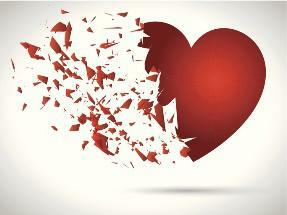 As Valentine’s Day looms ever closer it’s got us wondering here at T4 towers – why do some relationships fail? (We’re not being miserable; we’re going somewhere with this.) Specifically, why do relationships between higher education institutions and Digital Design agencies sometimes end in disaster? Like personal relationships they can look great on paper i.e. they say all the right things, they look the part, everyone likes them but it just didn’t work out. Why? Was it you? Was it something you said? Was it something you did? The answer may be yes but more likely you just weren’t the right fit. This brings us quite eloquently and conveniently to the subject at hand i.e. our next webinar: Selecting a Digital Agency for Web Redesign – Top Tips to Prevent Disaster. It must be pointed out that we’re not a Digital Agency (Digital Marketing & Web Content Management Platform – that’s our bag). We’re not trying to sell you Design Services or get you to take a peek at our portfolio. The reality is we’ve worked with a lots of agencies throughout the years on more than 500+ digital transformation projects in higher education; we’ve learned a thing or two. We’ve seen the good, the bad and the ugly. There are some spectacular digital agencies out there (there are some stinkers too) but even the best agencies with stellar reputations and a design portfolio that’d make Karl Lagerfeld or Tom Ford feel like underachievers can fail to deliver. It happens. It all comes back to that wonderful and, sometimes intangible, thing called THE RIGHT FIT. • What makes them different? What questions to ask? • Conversion optimization: What’s their approach? • Confirming deliverables, are you on the same page?